Connecting your phone service to your existing home phone wiring is easy. All you will need is a screw driver and a few minutes to connect your phone to your home's wall phone jacks. 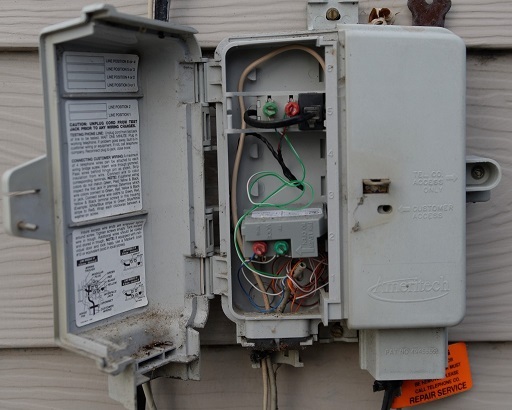 Start by locating your telephone wiring box (called a NID or network interface device) which is usually located on the outside of your home or inside of your garage. This box is grey or off white in color and may say Telephone Network Interface or Network Interface Unit on it. Below are two examples of what it may look like. On the wiring box you should see a small access screw. Loosen this screw to open the box. 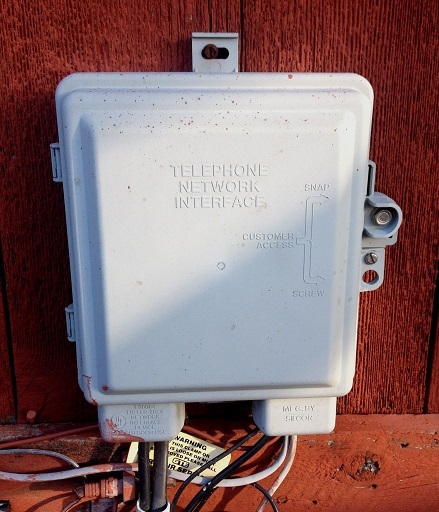 Inside of the box you will see a standard telephone jack with a small telephone cable plugged into it. 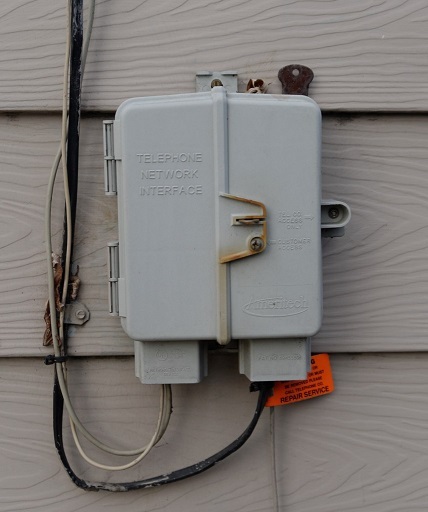 Unplug this cable to disconnect the telephone companies signal from your home. 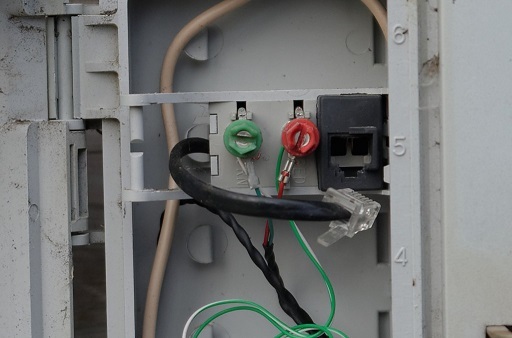 If you have a multiple line phone wiring you may need to disconnect multiple connectors. Close the box and tighten the access screw. Some wiring boxes will have a clip style system as pictured below. 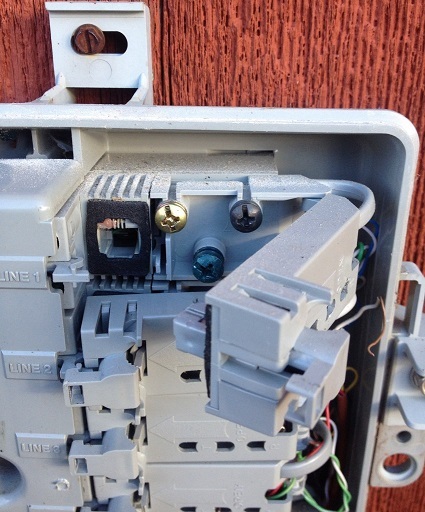 To disconnect the telephone companies signal unlatch the connector. If you have a multiple line phone wiring you may need to disconnect multiple connectors. Close the box and tighten the access screw.